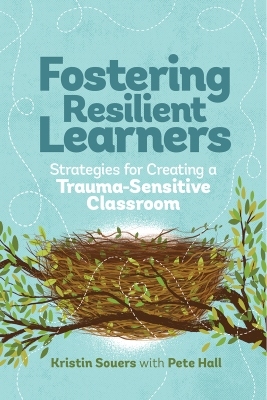 Whenever I run a training, share a blog post, or have a conversation with educators about how trauma affects student learning, I hear the same things: “I want more resources,” “I wish I had learned about this sooner,” “How can I learn more?” Teachers are hungry for information about how to better support our students whose lives and learning are impacted by trauma. Whenever I hear these comments, I’m further inspired to get training and reflection opportunities to more teachers so we can all get on the same page about how our schools can foster change and resilience. I’m really excited to share that we are launching a micro-credential program for Trauma-Conscious Teaching through Antioch University. This collaboration is taught by myself and mindfulness specialist Robert Black, and open to all as a non-credit-bearing opportunity (you don’t have to be an Antioch student to enroll). For those new to the concept, micro-credentials are intended to offer personalized, competency-based experiences for teachers, recognizing formal and informal learning. Many places define and structure micro-credentials differently. For our experience through Antioch, the micro-credential involves participation in a series of online and face-to-face workshops, webinars, mini-courses, book studies, and reflection. There are six to seven options; completing five of these plus a capstone reflective project comprises the micro-credential, all centering around increasing our support of trauma-affected students. These dates are just for the first round of the micro-credential – I’ll be updating soon with dates for Fall 2018 and more information about putting the pieces together with a capstone project. You are also more than welcome to take any of the piece “a la carte” without taking the entire micro-credential. Stay tuned and please let me know if you have any question! I hope I’ll see you in one of these experiences to learn together.